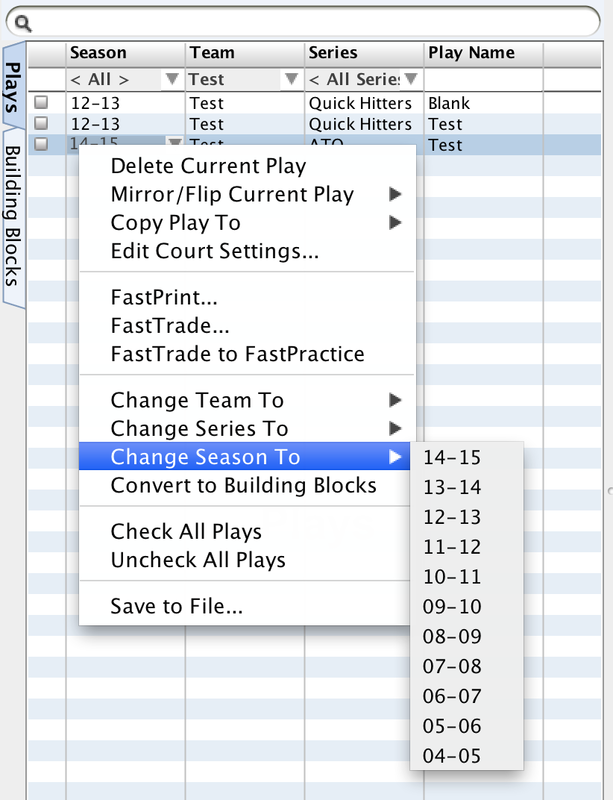 The Season, Team, or Series of a play can be changed individually by right-clicking on the play within the Play Library window. In the right-click menu, you can select Change Team To, Change Series To, or Change Season To and select a new value from the menu that opens. 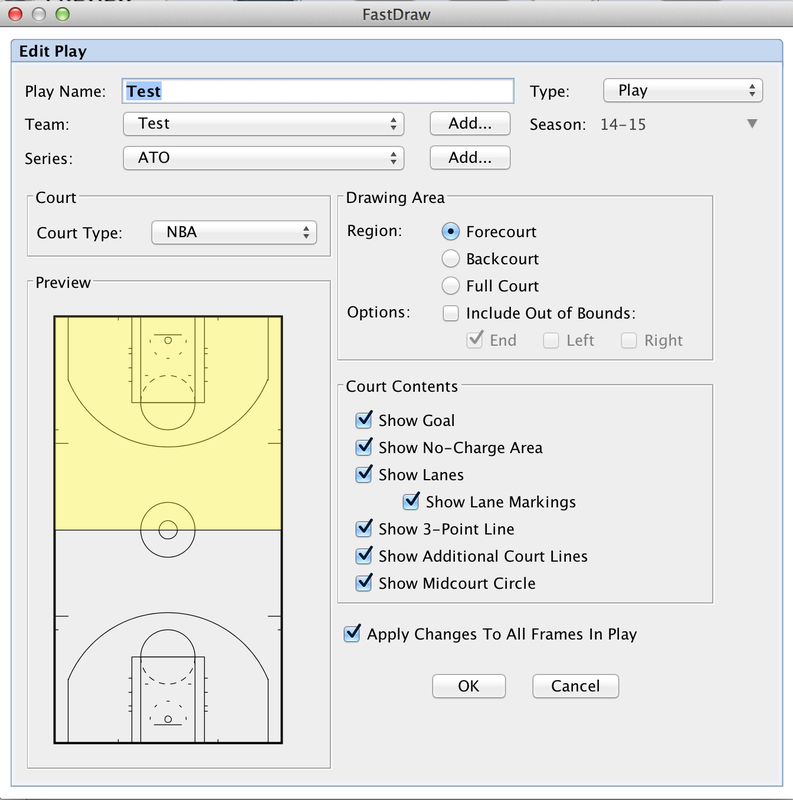 An alternative method, which will allow you to edit all of the properties of the play at once, is to right-click on the play in the Play Library, and then select Edit Court Settings from the right-click menu. This will open the Edit Play menu, where you can edit any property of the play.